Last night, the New York Yankees almost extended their American League Division Series (ALDS) against the Boston Red Sox to a fifth and deciding game. When the Red Sox eliminated the Yankees, they virtually wiped the slate clean of potential World Series rematches. Of the four potential combinations for this year's Fall Classic, the only rematches remaining are between the Red Sox and Los Angeles Dodgers (then known as the Brooklyn Robins), and the Houston Astros and Dodgers. That would pit last year's pennant winners against each other once again. All four teams still in the hunt Boston Red Sox, Houston Astros, Milwaukee Brewers and Los Angeles Dodgers have played on baseball's biggest stage. The Brewers are the only team of the four to have not hoisted a World Series trophy. If the Brewers dethrone the Dodgers and claim the National League pennant, there is a possibility for a unique scenario. The 1969 Seattle Pilots played at Sick's Stadium and did not win many games. Let's rewind to 1969: Richard M. Nixon was in the White House, Neil Armstrong and Buzz Aldrin walked on the moon, and Major League Baseball split its two leagues into four divisions. The Milwaukee Brewers began their existence that year as the ill-fated Seattle Pilots in the newly created American League West. They played one unremarkable season (64-98-1, .395) in the Pacific Northwest, then the franchise relocated to Wisconsin. Wisconsinites felt a void after the Milwaukee Braves departed town following the 1965 season. Rebranded as the Milwaukee Brewers, the team started winning by the end of the decade. In 1982, paced by the performances of Robin Yount and Paul Molitor, the Brewers won the franchise's lone American League pennant. The Brewers stretched the St. Louis Cardinals to a full seven-game Series, but ultimately fell one win shy of the title. 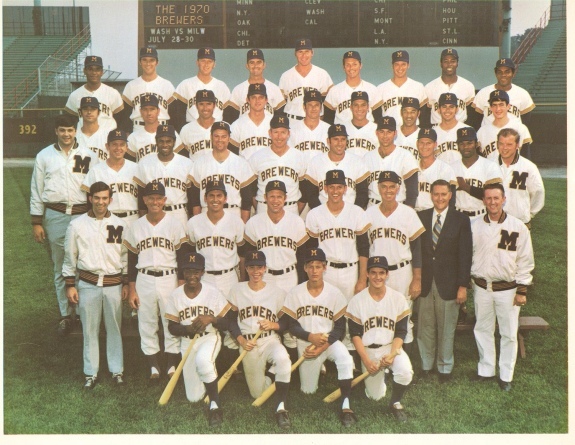 The 1970 Milwaukee Brewers played at County Stadium, the home of the Milwaukee Braves from 1953 through 1965. During the rest of the 1980s, the Brewers won games, but never recaptured the magic of their pennant-winning season. From the team's inception as the Pilots, the Brewers competed in the AL West through 1971, then the AL East beginning in 1972. In 1994, MLB once again realigned with three divisions in each league. As a result, the Brewers shifted to the newly formed AL Central and would play there through 1997. Then, the Brewers became the first franchise to switch leagues. For the last 20 years, the Milwaukee Brewers have competed in the National League Central. From 1998 through 2012, the Brewers and Astros were division rivals. 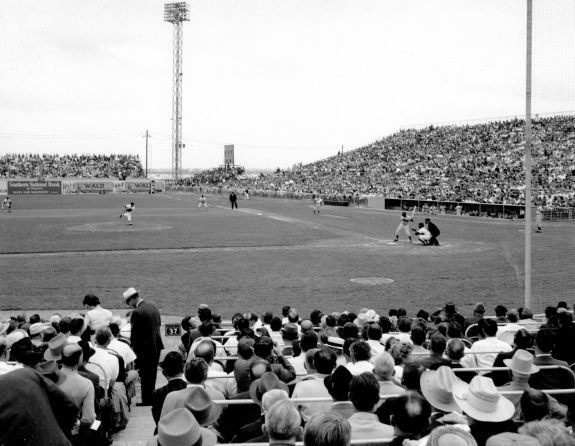 On April 10, 1962, the Houston Colt .45s played their inaugural game against the Chicago Cubs at Colt Stadium. They beat the Cubs, 11-2. Let's rewind to 1962: John F. Kennedy was in the White House, Marilyn Monroe was found dead, and the National League expanded to 10 teams. The Houston Astros, known originally as the Colt .45s (1962-1964), began racking up losses. 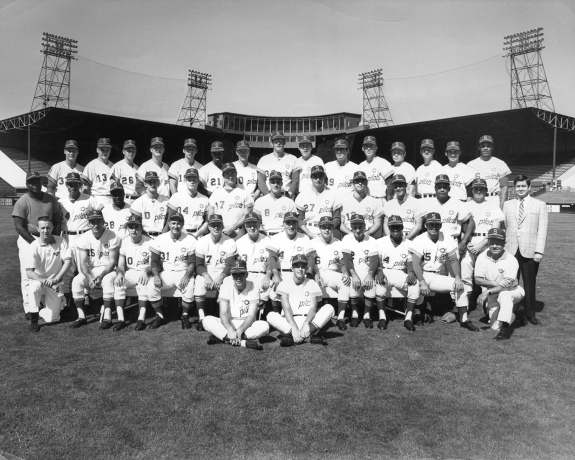 The franchise would lose 90 or more games each season through 1968. In 1969, they finished an even 81-81. Like the Brewers, the Astros started winning in the early 1980s. While the Astros would earn many more trips to the postseason than the Brewers, they would not claim their first pennant until 2005. During the 2005 World Series, the Chicago White Sox dominated the Astros, sweeping them in four games. A full decade passed before the Astros returned to the postseason. 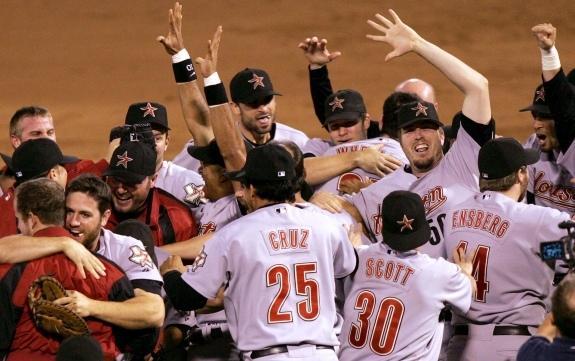 More than four decades after joining the National League, the Houston Astros won their first pennant in 2005. Following the 2012 season, the franchise switched to the American League and found a home in the AL West. In 2015, they won 86 games and lost in the ALDS. Then, in 2017, the Astros became the first team in MLB history to win pennants in both the National and American leagues. More than that, they claimed the franchise's first World Series title. Looking ahead to this weekend, the Brewers and Astros will face challenges in their respective League Championship Series. The Brewers will host the Dodgers at Milwaukee's Miller Park and the Red Sox will host the Astros at Boston's Fenway Park. 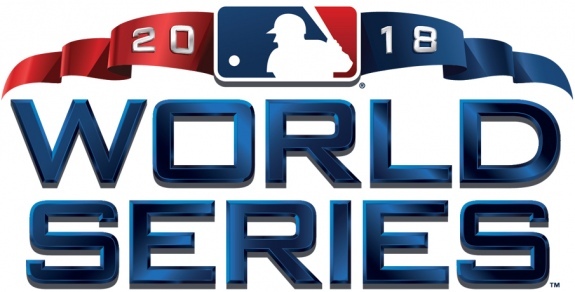 If the Brewers and Astros both emerge victoriously, the 2018 World Series will see the first matchup of teams to win pennants in both leagues. 2) Great catch. That change was noted above. Sorry about the oversight. After double checking, Baseball Reference has the switch happening after the 1971 season. 1) Actually, the Brewers were only in the American League west until the 1973 season. When the Washington Senators moved to Texas after the ‘72 season, they swapped divisions with the Brewers.